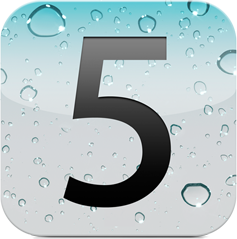 Following the highly anticipated launch of Apple’s iOS 5, Chitika Insights found that the latest operating system accounted for about 20% of iOS traffic after just five days. Now that iOS 5 has been around for nearly one month, the new operating system can be found on more than 38% of iPhones, 30% of iPads, and 12% of iPod Touch devices, according to Chitika. Using impressions served by its mobile ad network as a guide, the firm analyzed traffic between October 22nd and October 28th to determine how many users had installed the iOS 5 update. The iPhone’s adoption rate is clearly the most impressive, especially considering the new software is not compatible with two of the five iPhone generations. “The iPhone 4S sold over 4 million units in the first weekend, so this certainly contributes to the heightened volume,” Chitika noted within its blog. “However, this could be compounded by the fact that many consumers use their cellphones as their primary mobile device, and update it as necessary due to its great utility.” While iOS 5 is gaining ground, iOS 4 is still the most widely installed build of Apple’s mobile operating system.